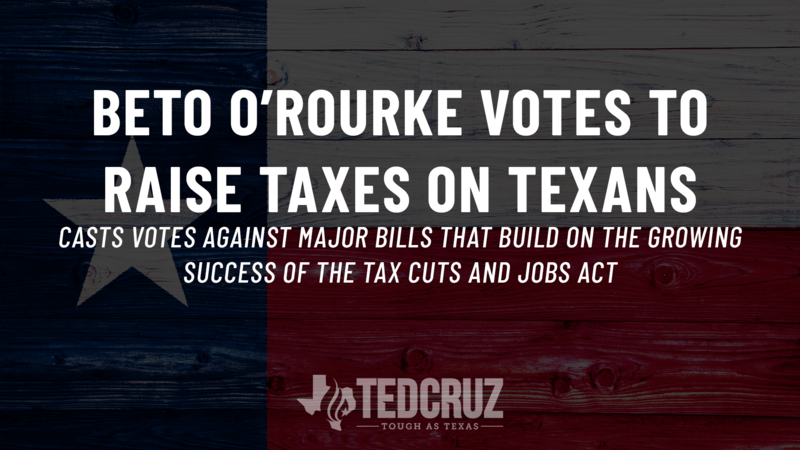 HOUSTON, Texas — Rep. Beto O’Rourke this week voted again to raise taxes on Texans. On Thursday, he voted against the Family Savings Act of 2018 (H.R.6757), which would expand access to new and existing savings vehicles and help businesses provide retirement plans for workers. And on Friday, he voted against the Protecting Family and Small Business Tax Cuts Act of 2018, which would make the individual and small business tax cuts permanent.